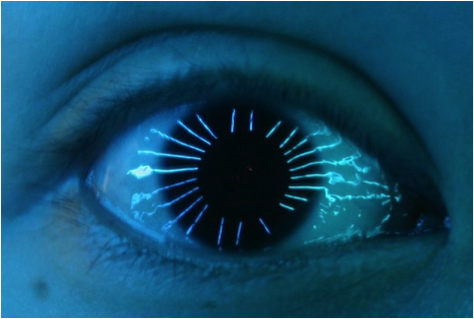 The traditional definition of limbus corneae tells us that the annular transition zone between the cornea and sclera manifests itself as a slight furrow mark . Histologically, at the limbus, the epithelium gradually thickens toward the sclera, where it is replaced by conjunctival tissue. 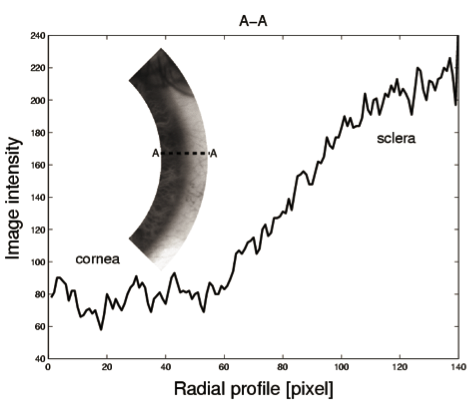 Demarcating the limbus borders is difficult in standard-intensity images of the eye because the transition from the cornea (iris) to the sclera is gradual  (Figure 1). However, those difficulties did not stop optometrists and ophthalmologists from defining such important parameters as the horizontal visible iris diameter (HVID) or the white-to-white corneal diameter (W2WCD) that found their application, for example, in intraocular lens design and fitting. Estimating HVID or W2WCD reduces to the best, in some sense, fitting of a circle or an ellipse to an anterior eye landmark (e.g., iris) that can be associated either with the inner outline of the limbus corneae or to a line within this annulus. The first attempt to characterize the outer limbus outline (border?) and its relation to its inner outline (border?) in a noninvasive manner was undertaken by Martin and Holden , who used a video-based system with two extended light sources (fluorescent tubes). 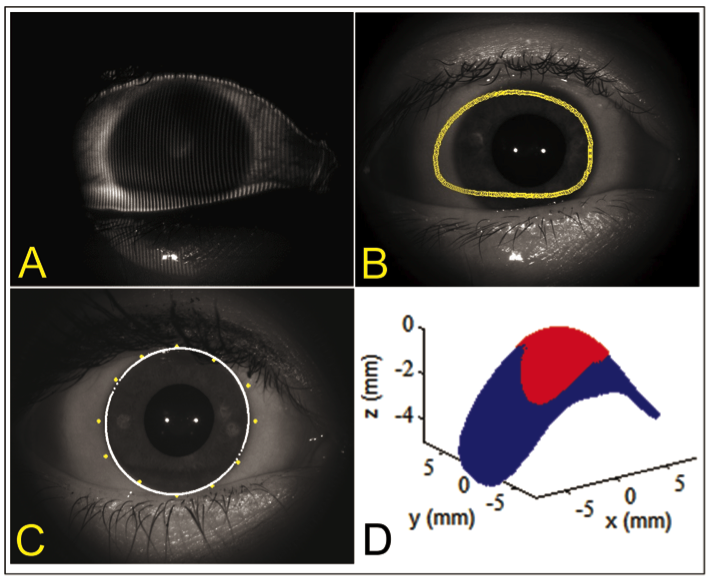 This concept was later extended by Scott Read from the School of Optometry, Queensland University of Technology, Australia, who built a projection device able to characterise the limbal curvature in a multitude of locations (Figure 2). Those attempts, however, did not produce tangible results and have been halted. The advances in anterior eye imaging with optical coherence tomography (OCT) have provided new opportunities of looking at the limbus profile from the topographical point of view. Utilising a large number of so-called B-scans extends the imaging of the anterior eye and provides a platform for demarcating the limbus region. However, due to the field distortion inherent in OCT systems  that varies from position to position and is eye-instrument distance dependent, high accuracy of anterior eye topography measurement with OCT is still an unresolved issue. The OCT-based technology also provides the ability to demarcate the limbus directly from the changes in the image intensity that occur at the border of the cornea and sclera where thickening of the epithelium gradually occurs, but those opportunities have not been explored as yet. Recently, a new instrument for measuring the anterior eye surface encompassing the corneo-scleral region has become available (Eye Surface Profiler, Eaglet Eye, Netherlands). This instrument is based on double projection profilometry. During its normal operation, it also has the capability to acquire standard-intensity images of the anterior eye. With this, one is able to acquire a 3D map of the anterior eye and, at the same time, obtain information about the iris position. A 3D corneo-scleral map can be used on its own to demarcate the topographical limbus based on changes in anterior eye curvature , while the combined information from the intensity image and the 3D corneo-scleral map provides topography-driven estimates of the HVID or W2WCD  (see Figure 3). Summarizing, we are facing different definitions of corneal limbus, but with more advanced technologies becoming readily available in optometry and ophthalmology practices, one is able to choose a specific definition suitable for his or her particular purposes. Millodot M. Dictionary of Optometry and Visual Science, 6th ed. Edinburgh, U.K.: Butterworth-Heinemann, 2004. Iskander DR. A parametric approach to measuring limbus corneae from digital images. IEEE Trans Biomed Eng. 2006; 53(6):1134-40. Martin DK, Holden BA. A new method for measuring the diameter of the in vivo human cornea. Am J Optom Physiol Opt. 1982; 59(5):436-41. C Ortiz S, Siedlecki D, Pérez-Merino P, Chia N, de Castro A, Szkulmowski M, Wojtkowski M, Marcos S. Corneal topography from spectral optical coherence tomography (sOCT). Biomed Opt Express. 2011; 2(12):3232-47. Consejo A, Iskander DR. Parametric modelling of anterior eye topography. Proceedings of VPOptics 2014; pp. 58-61. Jesus DA. 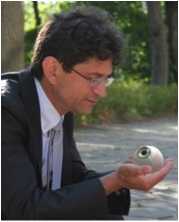 Iskander DR. Estimation of the corneal limbus with Zernike polynomials using anterior eye Topography. Proceedings of VPOptics 2014; pp. 135-138.